A name you can trust, experience, and market presence. The Merrifield Family has been selling property in the Windsor real estate market, an all areas of the Windsor Essex County real estate market for over 30 years. I have experience in representing builders in new home developments, residential and commercial resale properties, condominium properties, City of Windsor land deals, finance comapany Power of Sale properties, estate sales, power of attorney sales, divorce sales, investment properties, corporate relocations, in all areas of Windsor and Essex County. My numbers have consistently been higher than the Windsor Essex County Real Estate Board average, giving my clients faster sales with higher net prices. The numbers speak for themselves. 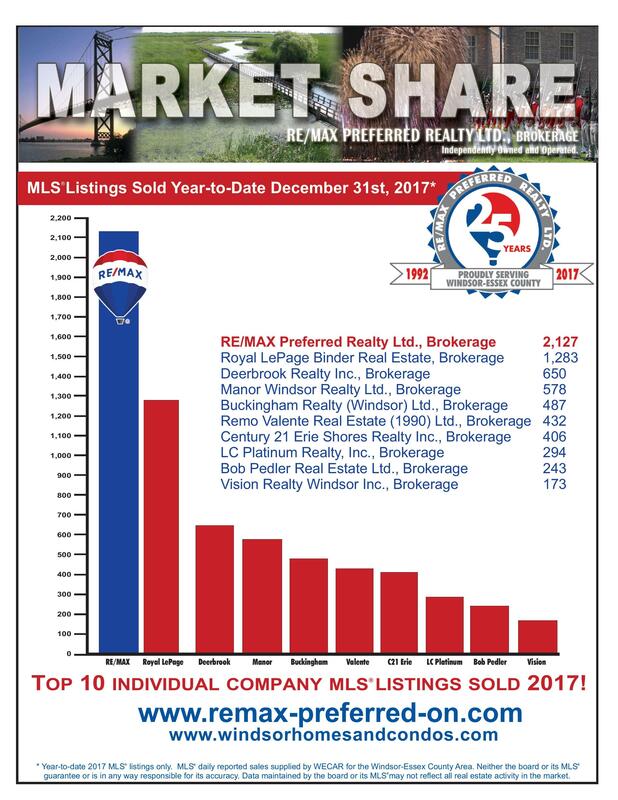 RE/MAX Preferred Realty has been the #1 company in Windsor Essex County based off of MLS sales and listings since 1996. If you're planning on selling a property in the Windsor real estate market , or any area of the Windsor Essex County why use anyone else? "Our home selling/buying experience with Don was beyond our expectations and more importantly stress free. Not only did Don sell our house in less than a week, he did so with extreme professionalism, kindness and with the utmost attention to our personal needs. Don is a prime example of what a realtor should be. We would highly recommend Don to anyone looking to buy or sell a home"
My wife and I would like to thank you for the quick courteous service and guidance we received when selling our home. We were shocked to have a signed offer within 5 days of putting our home on the market. All of this enabled us to successfully purchase a privately sold home which Don was of guidnace and service from negotiating the offer to the final sale. Thanks you very much. Decaire Family. We want to thank you for all your help and patience in the purchase of our new home and the sale of our old one. Although this process became very frustrating at times your calmness and wonderful sense of humor made the whole process bareable. Thanks again Don. You are the kind of agent we would certainly recommend to anyone looking to buy or sell a home. With much appreciation. If you're selling, this picture is worth 1000's of dollars. Get the most exposure for your home when you're ready to sell. 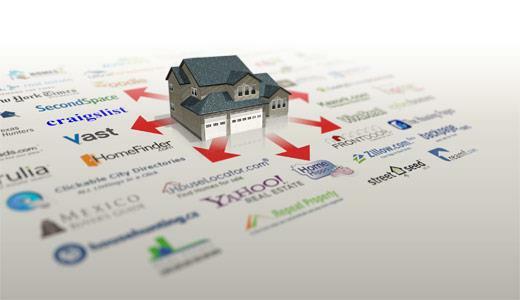 Windsor Real Estates #1 company, an experienced professional agent, and the best exposure for your listing the internet has to offer. Please feel free to browse my site for all current real estate listings and buyer information. A visit to my blog will provide you with up-to-date information on the ever changing Windsor real estate market, or you may contact me for an in-depth property evaluation and a detailed area analysis when buying.